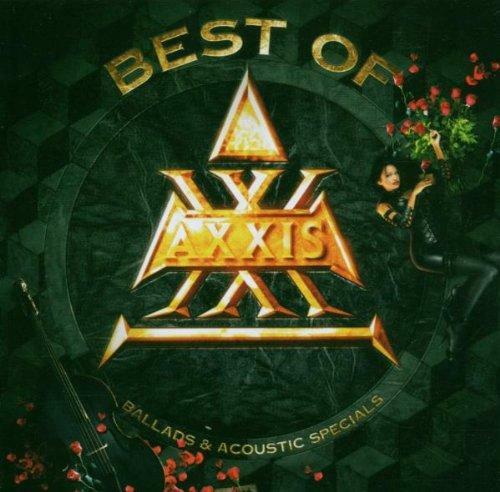 Axxis - "Best Of Ballads And Acoustic Specials"
AXXIS still belong to the most successful German Hard Rock bands. The band already showed everybody their capabilities with their debut “Kingdom Of The Night”. Published in Europe, Canada, Japan, Australia and USA, they were nominated as the best selling Hard Rock debut of a German band of all times with over 100.000 sold copies in Germany alone. The following releases assured a solid status for the band in the German music scene and in their loyal supporters. Several very successful albums followed before it became a little calmer among the heavies from North Rhine-Westphalia at the end of the nineties. But AXXIS were always there and stayed true to their style and their fans. Until today they altogether released nine studio albums and toured across Europe again and again over the years! For this reason AXXIS do not just release a “normal” Best Of Compilation but a composition containing a lot of rarities, unreleased titles and above all special acoustic versions, especially chosen for their fans. On this double album with 26 titles and 2 videos are altogether 10 previously unreleased tracks. Seven of them have been revised especially for this compilation and have even been newly recorded! CD two, which exclusively consists of acoustic versions, also has two rare videos of the band among other song rarities, which were up to now only available on the AXXIS Japan EP. Of course every title has been digitally remastered and the nice booklet with comments from the band and companions as well as rare photos make this more than well done Best Of package complete.